We are delighted that you are seeking Baptism for your child and we wish to share in the joy of this celebration with you. You may be asked to attend a Baptism preparation session regarding the Church’s understanding of the Sacrament of baptism. Godparents are most welcome and are encouraged to attend with you. Select Godparents who are willing to assist you in raising your child in the Catholic faith. 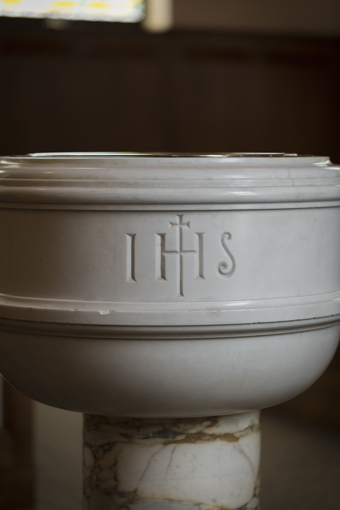 Although the Church does not charge a fee for the Sacraments there is an Administrative Fee of $100.00 (Parishioner) $250.00 (Non-Parishioner) to defray the cost of materials and facilities for baptism preparation. The administrative fee is due concurrent with return of the application package. We hope this statement will help you and the godparents to understand the commitment involved in Baptism. You can submit your registration form electronically below or contact the Church office at 201-568-0545 for a hard copy of the form. We look forward to sharing with you during this blessed and happy time. This is an application form only. Once this is received, you will be contacted by the church office to confirm the date of baptism. With rare exceptions, Our Lady of Mount Carmel Parish conducts baptisms on the second Sunday of every month. With that in mind, which month would you like to have your child baptized?